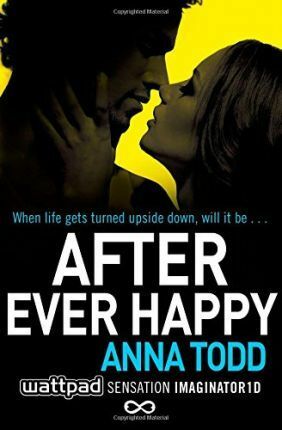 Book Four of the After series-now newly revised and expanded, Anna Todd's After fanfiction racked up 1 billion reads online and captivated readers across the globe. Experience the Internet's most talked-about book for yourself! Tessa and Hardin have defied all the odds, but will their fairy tale ending be turned on its head? After Ever Happy...Life will never be the same. #HESSA It's never been all rainbows and sunshine for Tessa and Hardin, but each new challenge they've faced has only made their passionate bond stronger and stronger. But when a revelation about the past shakes Hardin's inpenetrable facade to the core-and then Tessa suffers a tragedy-will they stick together again, or be torn apart? As the shocking truth about each of their families emerges, it's clear the two lovers are not so different from each other. Tessa is no longer the sweet, simple, good girl she was when she met Hardin-any more than he is the cruel, moody boy she fell so hard for. Tessa understands all the troubling emotions brewing beneath Hardin's exterior, and she knows she's the only one who can calm him when he erupts. He needs her. But the more layers of his past come to light, the darker he grows, and the harder he pushes Tessa-and everyone else in his life-away. Tessa's not sure if she really can save him-not without sacrificing herself. She refuses to go down without a fight. But who is she fighting for-Hardin or herself?